Who can resist perfect, Super Soft Donuts? 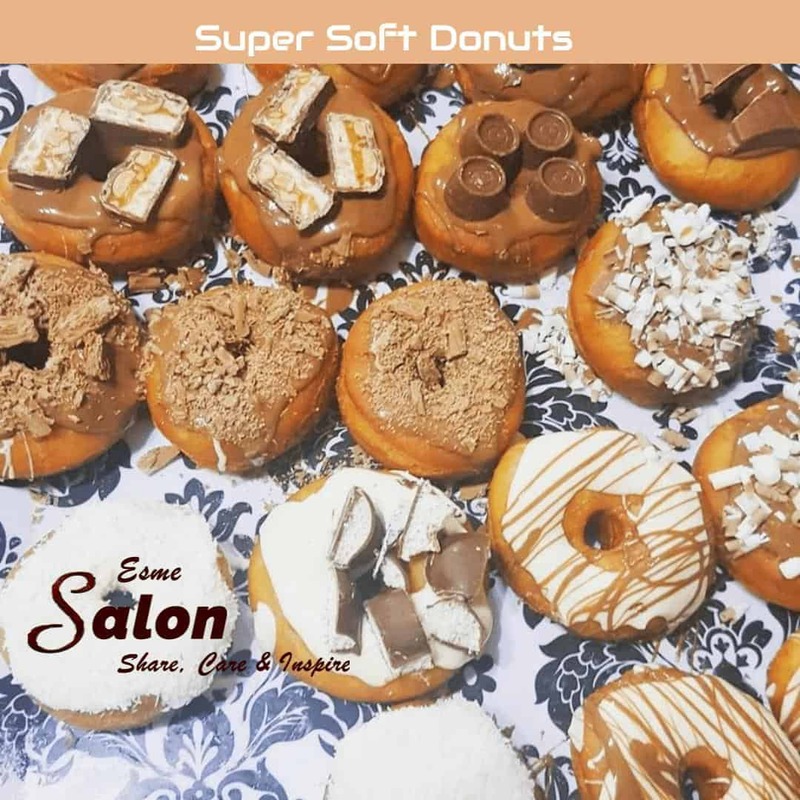 These doughnuts will “Wow” all in a 10-mile radius and will disappear from the serving plate in no time. Beat the egg in the milk and add the melted butter, vanilla essence and oil and add it to the dry ingredients and knead well. Roll out the dough not to thick or thin (+- 1cm thick) then shape the donuts and let it rest for another 20 minutes. Fry in medium hot oil (Please make sure the oil is not too HOT) till golden brown and drain well. Melt chocolate and drizzle over or dip it halfway and decorate as desired. These look terrific, thanks for sharing!